Is your business lacking luster? Need to energize it with new leads? An effective answer is to link your e-mail publishing platform to your landing page. Landing pages are a medium to inform your visitors of the benefits and features associated with your product or service and most importantly make them take some sort of action like clicking on a button, providing you with an email, making a purchase, or simply clicking through to another page. If you want to increase your targeted leads, then your landing page web design must speak for your business. Landing pages contribute to conversion rate optimization and literally run your business when you’re not there. All professional Orange County Web Design Companies do it. In this post I am going to give you a step-by-step process for creating an ideal landing page. A landing page that speaks directly to the customers and guides them to a place leads to conversions. Starting With A Mock Up! You always need to have a rough draft before your final submission. Similarly, you need to start with a prototype when you are building a landing page. • It is quick and easy. • It’s easier to make changes without adjusting codes. • It gives a structure to your vision of what exactly your landing page will look like in the browser. Hence, I always advocate starting with a mock-up when in the process of building a landing page. Choosing a background for a landing page involves a lot of subjectivity. There are no fixed rules that one needs to follow. However, there are some principles that might help you in establishing a successful background for your page. • Your background should never contain large graphic files like high quality JPG’s as it takes too long to load. • Your background should have high contrast in relation to the foreground content. • Your background should never contain distracting elements. A headline is a prominent blimp of text that captures a users’ attention. It is the first thing that you want your users to see. It is something that would leave an impression on the users’ mind and make him want to come back to your website again and again. Next in the visual hierarchy is the sub-headline. It mainly provides additional details about your service or product. 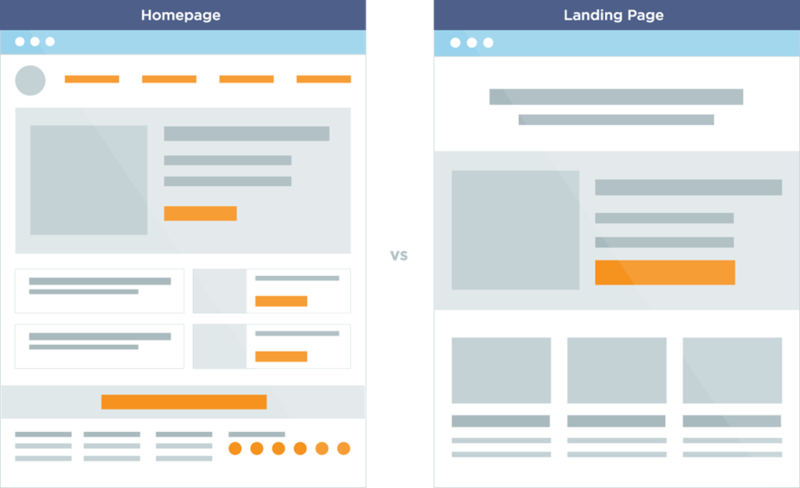 You want to pay attention to both these things when building a landing page. They can easily make or break your business. The elixir of a great landing page is the call to action button. The button should be prominent and at the same time compelling. It should make your visitors want to perform some action. It should be representative of exactly what your target user will receive and the experience they can expect. You want to draw your visitors’ attention to it. This call to action button needs to stand out from the rest of your content. It should, most preferably, use a colour that’s high contrast from the background and possibly unique to the rest of your colour theme. • Schedule my consultation etc. Your landing page should contain illustration to make it stand out or be more attractive. Any type of media like, a photograph or some video, can do the job. It is a visual world and people respond to visuals. Visuals make information clearer to the reader more than text alone. Use visuals that are relevant and compelling to your target audience. Visuals have taken over the social media network. Internet is full of social media tools as a proof of this. Facebook and Twitter have established authority, more than ever before, due to their high volume of images and videos. Using visuals as a design element in your landing pages can truly transform your digital business. Give away valuable, practical and content-rich information for free. Yes, I am serious. Giving free gifts to your audience is an effective marketing strategy and a great way of upping your conversion rate. It’s a way of building trust and credibility with customers. Free gifts always compel people to act. I am sure most of you are familiar with the term ‘lead magnet’. It is helpful content that you give away for free, in exchange for the user’s email address, thereby moving that user into your conversion funnel. It can be a simple report, eBook, blog post, email course, software, plugin or even your time. If you give them a free consultation, you’re building relationships that will come into play when talking about conversion rate optimization. Remember, that in the long run, giving away free valuable information is much more profitable because it encourages those CTA button clicks, improves your conversion rates, and boosts your marketing campaign. The digital marketing space is changing. New tools are being developed. You need to invest adequate time to learn how these new tools work and keep abreast of landing page trends – they would guide you when making decisions. You need to invest a great amount of time, effort, skill and resources if you want your landing page to consistently yield good results. Maybe, at some point you may need more landing pages, but it is advisable to focus your attention on one task and with the right design it can also yield impressive results. • Target the right keywords. • Showing logos of those who have covered the business. • How can visitors trust you? • Why is it advised to not chronically change things in your landing page? Follow these steps and watch your conversion rate rise.